Comfort food. It’s polenta and pasta, roast beef and beef stew, pot pie and Shepherd’s pie and macaroni and cheese. It’s hamburgers, French fries, and toasted cheese sandwiches. It’s Chinese takeout and sushi and Chili con Carne; Osso Buco, Braised Short Ribs, and Fish and Chips. And, of course, bacon. Comfort food makes no demands. You don’t eat it to feel smarter and more sophisticated. You eat it to nourish your soul. As you take your first bite, your mind begins to loosen its grip on the day’s vexations. Your brain switches off, your taste buds switch on, your body relaxes. You become briefly and sweetly focused on gustatory pleasure, nothing more—or less. To wash it down, you need something just as easy. I mean, sure, you could drink a top Bordeaux like Cheval Blanc with your hamburger, but who wants to think that hard? Wine for comfort food should, like the food itself, make no demands. It should pair effortlessly to avoid dissonance. It should be easygoing and unfussy. It shouldn’t take itself too seriously. It shouldn’t make demands on your wallet, either. Wines ringing in under $20—and preferably more like $15—can be poured with winter weeknight meals, when these kinds of foods reign supreme. I polled my friends to learn their favorite comfort foods, and within minutes I had dozens of replies. How can something so casual elicit such passion? 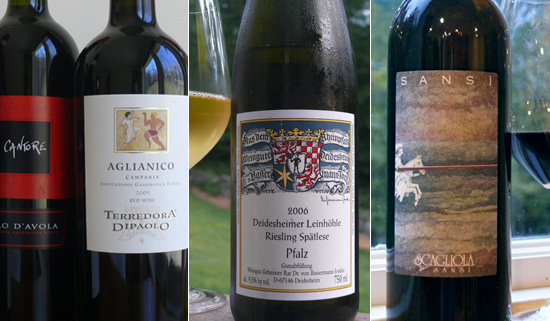 Here are the ones that got most vocal support from my friends, along with an affordable wine (and sometimes two or three) that will fit the bill. Red Bordeaux and red meat are meant for each other, and this wine’s tannic structure beautifully balances meatloaf’s protein and fat. You don’t have to pawn the silver to afford it, either; Bordeaux Supérieur AC can be had for our target price. Oaky, buttery Chardonnay is a harmonious pairing here, but dry Chenin Blanc from the Loire or South Africa has cleansing acidity, plus a honeyed note that’s terrific with cheesy dishes. If red’s more your style, choose juicy gamay-based Cru Beaujolais, especially if the dish is studded with chunks of ham. Beef Stew is one of my favorite comfort foods. I usually add a little bacon or pancetta for smokiness, mushrooms for earthiness, and a few tomatoes for tang. 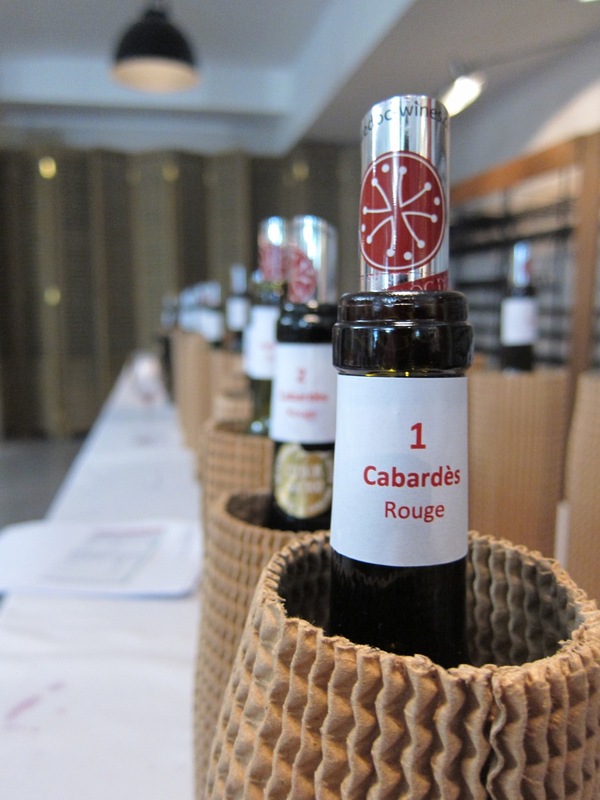 My go-to pairing is Côtes du Rhône, especially blends dominated by peppery grenache. American Rhône-style blends are also a great choice. Braised Beef Short Ribs are more tomatoey, so require a slightly different wine. Tempranillo-based Rioja works well, especially Rioja Crianza, which has a bit of age to mellow it out. I’ve also had good luck with affordable red blends of tempranillo and garnacha from Spain’s Penedès. Sparkling wines are peerless with crispy, salty, buttery foods. Try Spanish Cava, made from xarel-lo, macabeo, and parellada grapes in the same method used for Champagne (for a fraction of the price). The bubbles and zingy acidity scrub your palate between bites, while the leesy notes echo the sandwich’s toasty goodness. Bistro food needs quaffable wines. Steak Frites—seared steak with fried potatoes—is terrific with meaty Syrah. 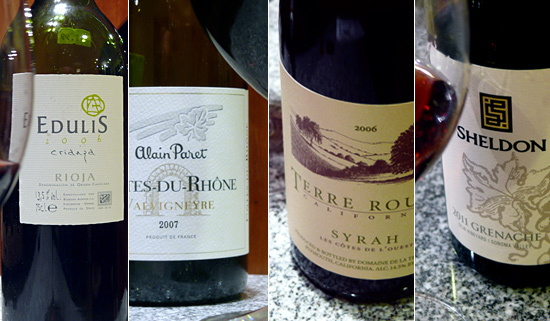 Grab one from the Rhône valley, or a single-vineyard California Syrah from a cool climate. I love the Syrahs coming out of the Bien Nacido and Alamo Creek Vineyards in Santa Maria, as well as those from the Sonoma Coast. Avoid fruity, jammy Syrah and Shiraz, though: you want something more savory with this dish. Not usually a meal unto itself, mashed potatoes still won lots of support in the comfort food polls. Nearly any red or un-oaked white pairs well with the plain Jane version, provided the wine has enough body to stand up to cream and butter. When mashed potatoes serve as a velvety foil for roasted, stewed, and braised meats and vegetables, though, or are dressed up with truffle oil, roasted garlic, crème fraîche, or blue cheese, you’ll need to find a wine that’ll match that dominant flavor instead. Although the best pairing will vary, look for wines with medium body—Côtes du Rhône, Barbera, Merlot, Chardonnay—because they stand up to bold flavors without overpowering the potatoes. Potato Gratins are similarly neutral, but cheese adds heft and saltiness, while baking adds delectable browning. Riesling’s my pick here, either Alsatian Riesling, with its weight and brilliant minerality, or off-dry German Riesling, whose sweetness is superb with salty foods. So what do you drink with that hamburger? Zinfandel’s grape may have originated in Croatia, but the wine is consummately American, so stylistically a great fit. Its jammy, juicy, spicy flavors also stand up well to the sweet and tangy sauces we typically slather on a burger. If you plan to go to work the next morning, choose cool-climate Zins, particularly those from California’s Dry Creek or the Russian River. They’re less heady than those from warmer Lodi, whose alcohol levels can soar past 15%. A surprising number of correspondents named this as their favorite. I was vegetarian for seventeen years (seems a lifetime ago, now) so this one’s easy: Cabernet Franc, especially Chinon from the Loire. The wine has gorgeous vegetal notes and is so earthy it seems as if it, too, might have been pulled straight from the ground. Pinot Noir! True, some people want white wine with their roasted bird, and for them I suggest Roussanne or a white Rhône-style blend. But I usually drink red wine with chicken, and Pinot Noir, with its grace and finesse, is nearly perfect. Look for Pinot from Oregon or California’s Sonoma Coast, or if the chicken is herb-rubbed, try one from Austria or Germany—cool climate growing regions that produce more restrained wines with notes of fresh herbs. Spaghetti sauce as we know it—ground red meat simmered in lots of tomatoes—is arguably more American than Italian. It demands a wine with enough acidity to stand up to the tomatoes, plus enough gravitas to partner with the meaty bits. 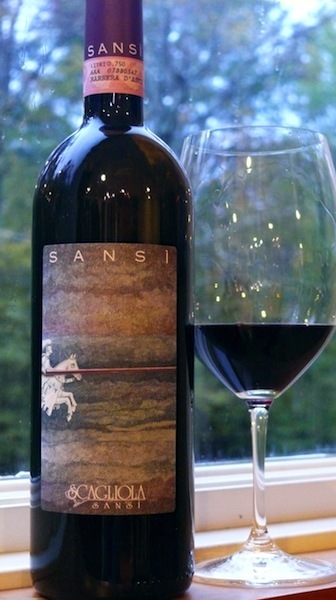 Sicilian Nero d’Avola is a great, affordable choice. Traditional Ragù, meanwhile, is a slow-cooked mixture of meats, usually beef, pork, and veal, with only a little tomato as binder. (Vegetarians could make it with porcini or other wild mushrooms.) Barbera d’Asti is superlative with ragù; it has juicy acidity, supple tannins, and notes of blackberry and sage. It’s also great with pizza, panini, and lasagna, too. Barbera is just utterly drinkable—for me, a nearly perfect comfort wine. I love this article! 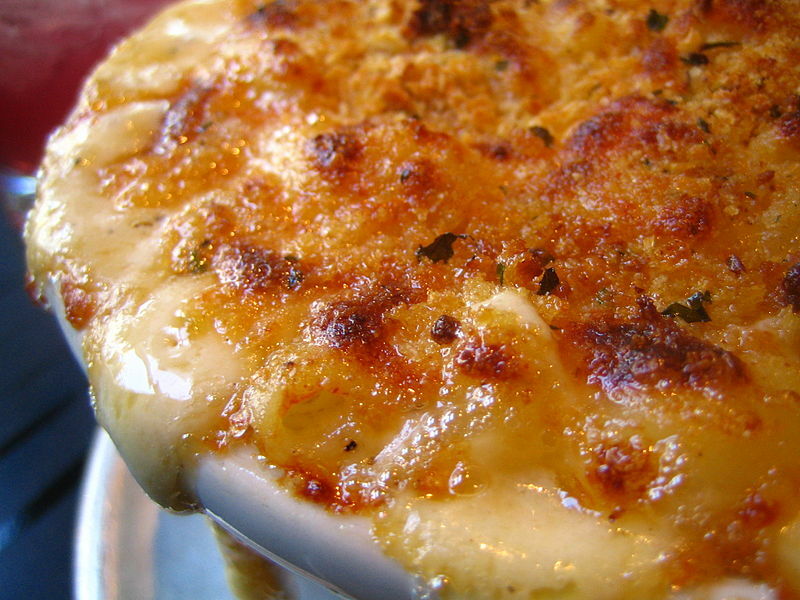 Also, that picture has me seriously craving something with melted cheese. How long until lunch? Mmmm. Potatoes au gratin and Riesling. Yum.